Microstrategy develops software which helps organization to analyze external and internal data to make a business decision and to develop mobile applications. 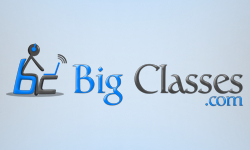 Microstrategy develops and sells mobile softwares, business intelligence,..
Microstrategy online training at bigclasses teaches you how to log in and get started using MicroStrategy Desktop and MicroStrategy Web. It gives you an opportunity to familiarize yourself with the..
MicroStrategy is a global leader in business intelligence technology. MicroStrategy provides integrated reporting, analysis, and monitoring software that enables companies to analyze the data stored across their enterprise to make..
Overview: MicroStrategy is a global leader in business intelligence technology. MicroStrategy provides integrated reporting, analysis, and monitoring software that enables companies to analyze the data stored across their enterprise to..